Last night's game between the Golden State Warriors and the Utah Jazz was billed by some as a matchup between the league's best offense (the Warriors) and the league's best defense (the Jazz). And while that is technically true when measured by points per game, the statistically savvy know this is a misleading way of judging team offense and defense. The Utah Jazz have the slowest pace in the league, averaging just 90.1 possessions per game. This leads to fewer scoring opportunities on both offense and defense. At the opposite end of the spectrum are the Warriors, who lead the league with an average of 98.3 possessions per game. If we adjust for points scored per possession, it turns out that the best defense in the league did take the floor last night - but it was Golden State, not Utah. The Utah Jazz allow a merely average 1.05 points per possession, while the Warriors lead the league with an average 1.01 points allowed for each possession. Pace adjusted statistics have long been a cornerstone of "advanced" basketball analytics (if you consider division to be "advanced"). But calculating pace has historically relied on a deft manipulation of box score stats in order to back into the implied number of possessions per game. Refer to the Basketball Reference glossary for the precise formula. But with detailed play by play data, one doesn't have to rely on such box score alchemy. You can just count possessions directly. In addition, the level of detail available with play by play data allows you to split pace into its proper offensive and defensive components. 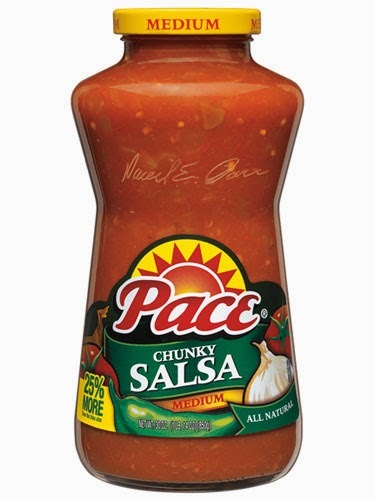 It is very possible that "pace" means something very different for team offense versus and team defense, but the standard box score method of measuring pace doesn't allow for that level of granularity. Having archived detailed play by play data for my win probability graphs and box scores, I can use that same data set to measure team pace on both offense and defense. The table below summarizes the current season for each team. 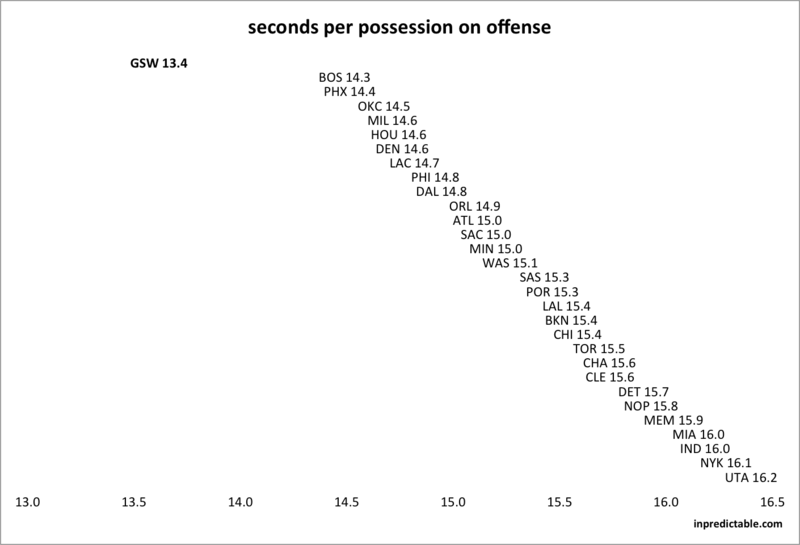 Note that while pace is usually measured in terms of possessions per game, I am flipping that and instead measuring seconds per possession. 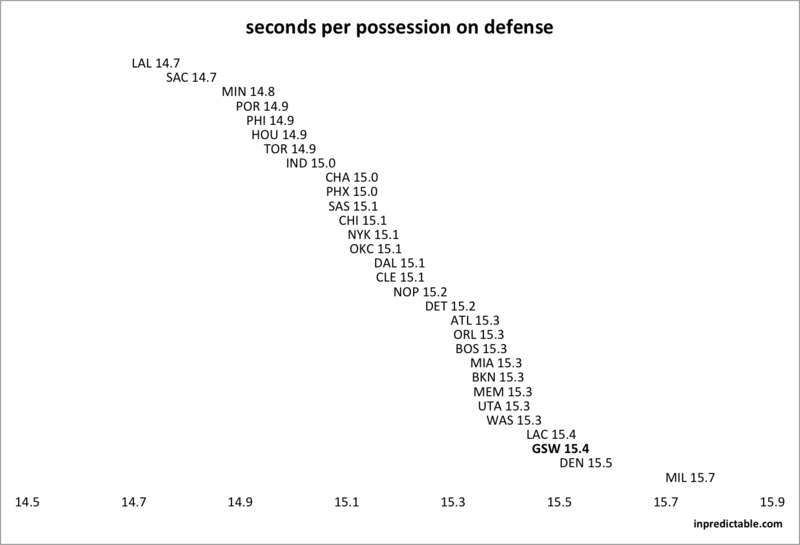 The Warriors have the league's lowest seconds per possession on offense, and by a relatively wide margin. The graph below shows what an outlier they are. Not too surprisingly, the variation across teams tends to be wider on offense than on defense, indicating that offense dictates tempo more so than defense. With these new stats, we can examine more closely how pace and efficiency correlate. Here are some correlation coefficients based on 2014-15 team averages. A reminder that pace here is measured in seconds per possession, so low numerical pace equates to "fast". Teams that average low seconds per possession on offense tend to be more efficient on offense. The correlation (or anti-correlation, rather) is twice as strong on defense, where teams that force their opponents into longer possessions tend to have good defensive efficiency. At its core, shot selection on offense is a real world application of optimal stopping theory, where good defenses force their opponents into longer search sequences in pursuit of a positive expected value shot opportunity. Looks for these stats to be provided real time in the near future (similar to my team win probability added summaries).